It's been extremely busy for Manta Week so far! From manta research, to presentations it's been an extremely exciting time and we've been enjoying every second of it! Both here and in Sangalaki we've done some great work at cleaning up marine debris. 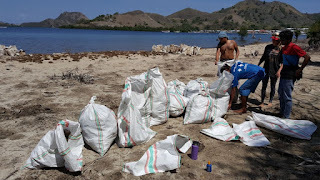 Here is Komodo we did a huge day of clean ups. 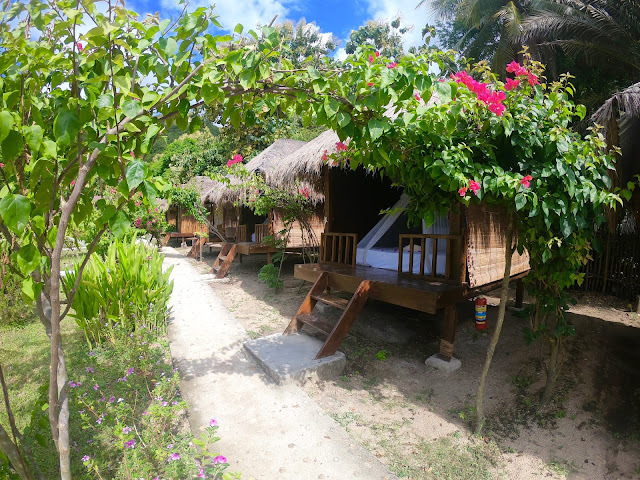 An early start on Tuesday had us out on a beach just outside of the Komodo National Park. 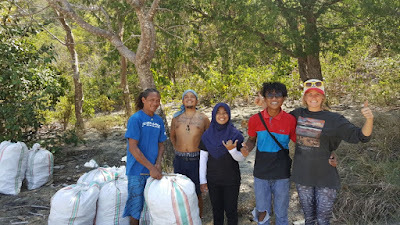 In three hours 6 of us cleaned up 8 huge bags of trash - removing plastic, old clothes, shoes and much more from the shore line and further in land. As distressing as it is to see such trash in the area, we must stay positive. What we removed is now not going to threaten marine species, and we must use this as motivation to encourage others to reduce their plastic use. In the evening we got customers involved too, and with some music to keep us company we did another big clean up whilst watching the sunset. Over in Sangalaki they removed an old fishing net from the surface of the water. Without this being done this net would certainly have posed a huge threat to manta rays, sharks and all kinds of marine life. 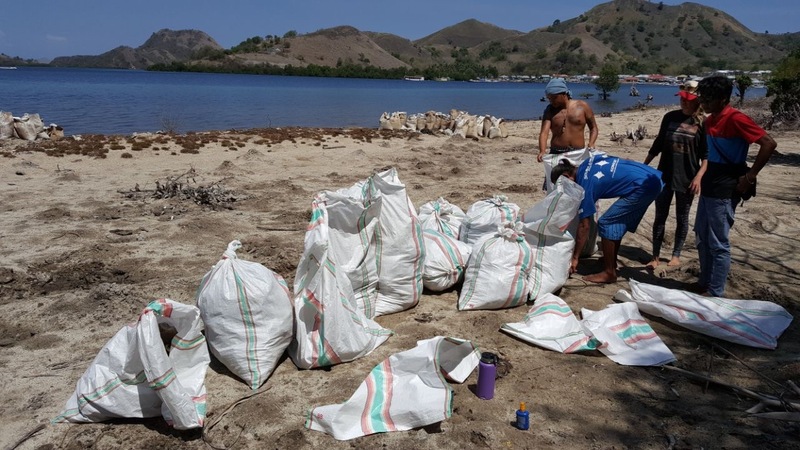 Both in Komodo and Sangalaki we have made a big push to work with the community. 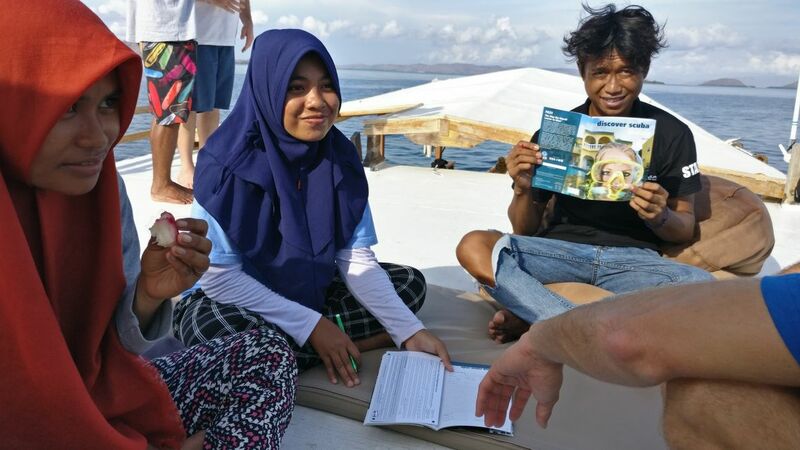 Over in Sangalaki they visited the school in Derawan and Elitza from the Marine Megafauna Foundation gave a presentation in Bahasa on Manta Rays. It was a great success and we hope to continue to work with the school in that area. 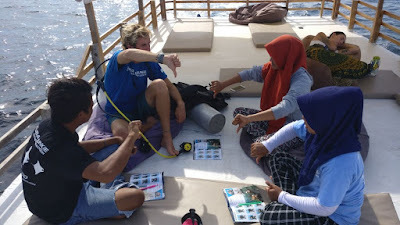 Here at Komodo we took some of our staff who have been showing a keen interest in trying diving on a Discover Scuba Dive. Some took to it better than others, as is always the way. 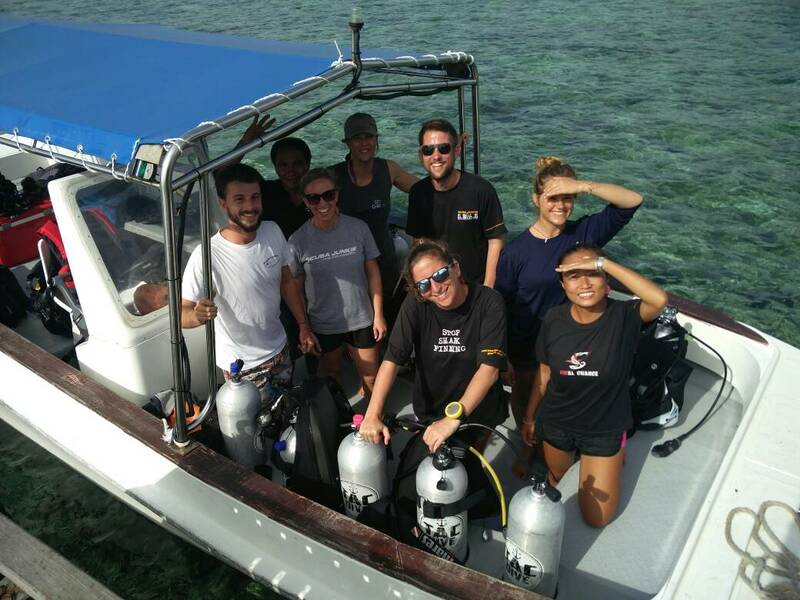 Indra (who many of you will know as our amazing bar man), we hope will be starting his internship with us next year - we will be teaching him from PADI Open Water through to PADI Divemaster. Hopefully, with their new love for the underwater world, they will strengthen their passion to hep protect the marine life. We've had some fantastic presentations at both locations. In Sangalaki, David (Scuba Junkie SEAS) gave a brilliant presentation on Majestic Rays. 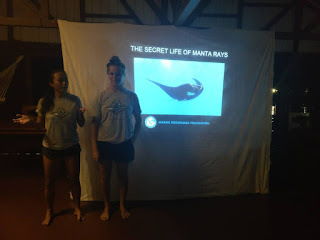 In both locations we had the the Marine Megafauna Foundation giving presentation on Manta Rays - their biology, the different species, mating, feeding, cleaning and the unfortunate threats the species face. In both locations we've had the Marine Megafauna Foundation out doing Manta Research. This doesn't only involved ID-ing manta rays, but also logging the temperature of the water, what fish species are seen (whether its sharks, turtles, trevallies) So even if they don't see manta rays, they still get a lot of important information. 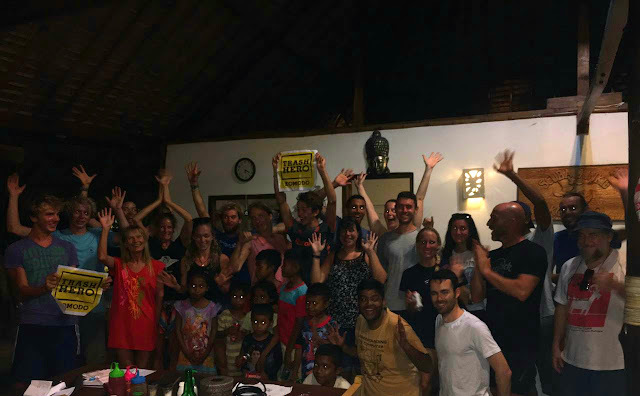 Here in Komodo we will be visiting the school in Warloka, giving a presentation on Manta Rays and doing a big clean up in the village. We will also have presentations on shark and ray conservation in the resort in the evening, and tonight we have a fundraising put quiz! In Sangalaki they have presentations on mantas and more manta research! Can't believe we're already half way through such an amazing week!